I recently recovered from a year-long injury that greatly impacted my art. I had a ligament tear in my dominant hand’s thumb. Anyone who has dealt with a thumb injury knows full well why humans (and other opposable thumb bearing animals)really appreciate the thumb and all of its capabilities. As a result of this injury, I started creating with my non-dominant left hand. I was not fully on board with this until my sweetheart pushed my “challenged, I’ll show you” button. Thank goodness he did this for me! I started using a watercolor cake set because of its portability – I was determined to do one painting a day. This “forced” creating method benefitted me in many ways. I, through little control of my own, was able to create more abstractly, my painting really loosened up, I learned much more about watercolor so I didn’t dislike the media anymore, and I learned forgiveness for my art. During the year-long process I had a sudden revelation. I did not judge the results of each day’s exercise as harshly as I would have if I had done the same work with my “right” hand. Also, my sister-in-law and fellow artist Kathleen Kvern introduced me to intuitive painting processes. I could paint with my hands and I finally got the cool and warm color concept down pat.That concept may be a given to you but I had very little learning of color theory. The long term impact has been a greater appreciation for my health and well-being and my ability to create, I have learned to listen to warning signs and take care in a more conscious manner and I am glad to have had the experience. Many shared similar stories with me – for one reason or another someone’s creative processes either had to change or the artist made the choice. So many valuable lessons were shared with me. I also now have felt the sayings, “you don’t know what you have until it’s gone” and “absence makes the heart grow fonder”. Prior to the injury I was growing in several creative directions at once, moving away from my master artist role of natural materials basketry and all things wild – birch bark, porcupine quills, roots and more. The injury made it very difficult to anything that required to hands so I was very grateful for my awkward left handed brush grip. 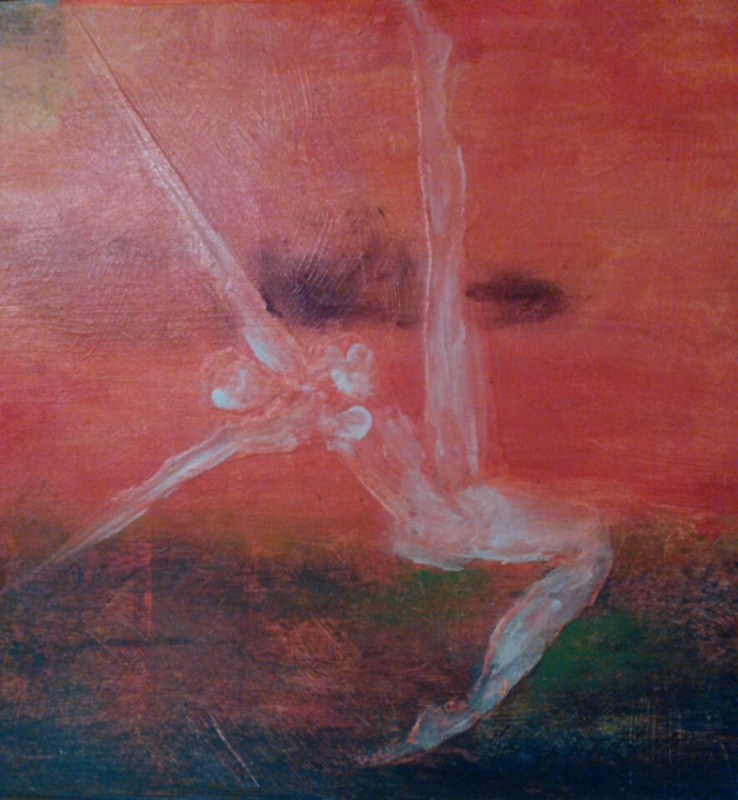 During the last 2 months, I was getting stagnant in my painting – my mind wasn’t flooded with its usual creative ideas. I started working with natural materials again, and once I did, the creative flow became a flood. 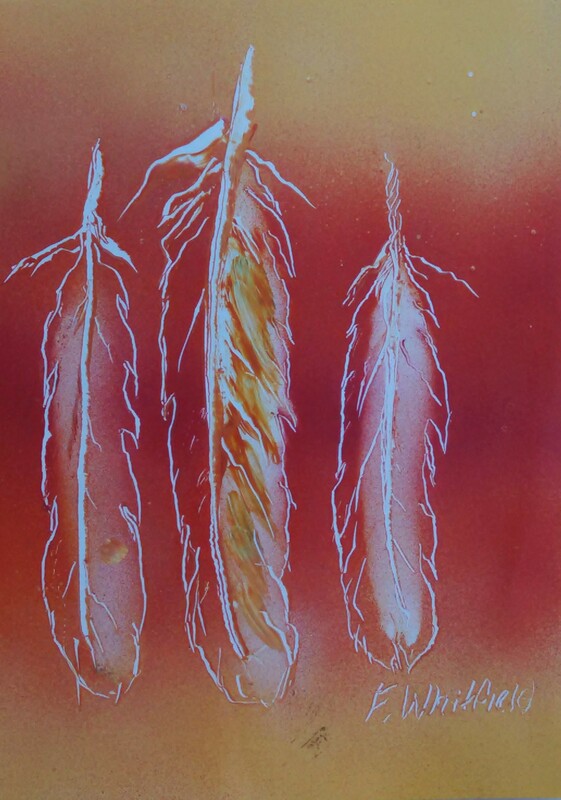 Birch bark work, porcupine quill embroidery, pastel drawings, mono-printing, weaving, acrylic paintings, spray-paint paintings and more make up the body of my work. I guess I’ll never be a “watercolor artist”, an “oil painter”, a “potter” or any of the other many creative venues. I am proud to say that I am creative though. No boxes for me means that the creative world is wide open to me! Experiment, try, try again and you will find your niche! I believe that the more that you give, the more that you get. I have often heard that many creative people in our area do not have a place to do art, that they like a class setting, that many are looking for social outlets to share their ideas or to get support and encouragement in their creative endeavors. I have heard this and have acted! A huge thank you goes out to our Town Chairman John Hanson and Clerk Dana Hilbert for their assistance in letting us use the wonderful Manitowish Waters Community Center. Artists will be coming together to offer a free “open studio” to artists, visitors and whoever loves being creative. The “studio” is held at the Manitowish Waters Community Center on the first and third Tuesday each month from 10 – 3 (with exceptions). This informal gathering welcomes all, beginners and advanced! The gathering provides a venue for people to create and share their creative energy. Guests should bring projects and supplies for art projects that they are wanting to work on or have always wanted to start. Participants MUST bring floor and table protection (material should completely protect tables and floors). Bring a lunch, stay for the whole day or for a few hours. 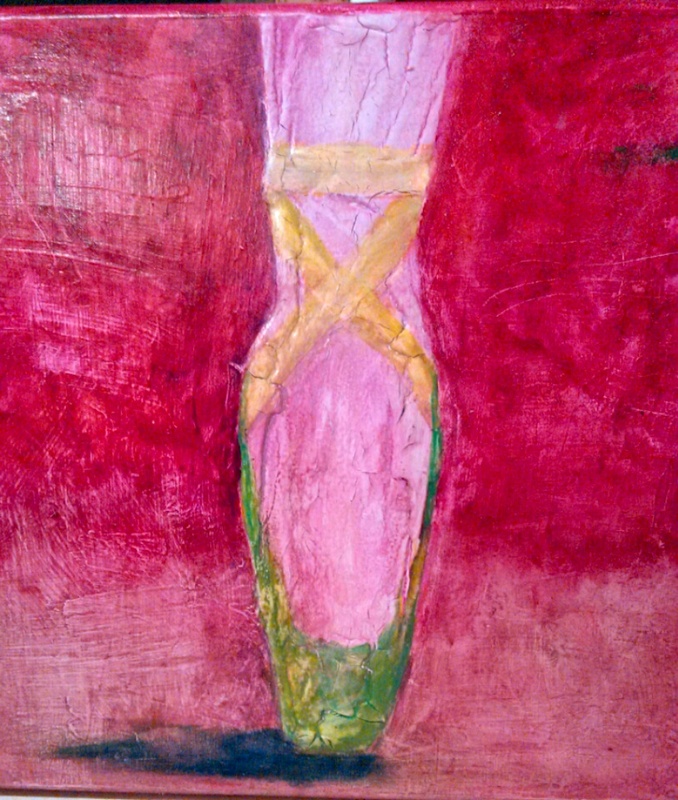 Purchase locally created art today! 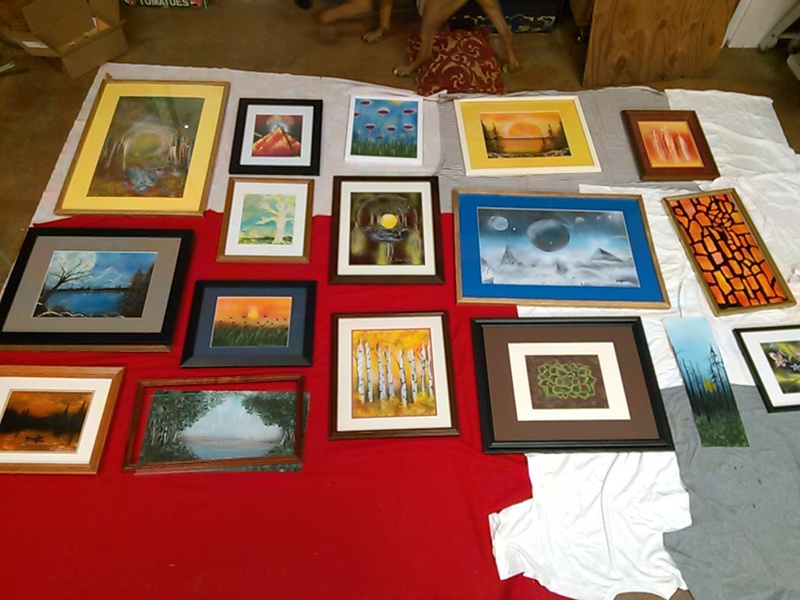 The art is being offered by members of the Manitowish Art League and can be seen at the Vilas Business Incubator on Highway 51 and Townline Rd in Manitowish Waters. For more information contact Barbara McFarland at 715-543-2975. The non-dominant hand art adventure continues! This journey has been amazing and very rewarding. I have decided to call the work that I’ve created with my left hand “From the Other Side”. The work is like none I would have conceived myself ever doing. The challengers have actually been like having art lessons, I have learned new methods. I have taught myself new ways to do things and have looked at other materials and types of art to continue on this journey. It has been a truly rich and rewarding experience! The hand-painted journals are called Midnight Journals because they contain 30 pages of thick, 90 pound black paper. The spiral binding allows for maneuverability. The 5 3/4″ X 7 1/2″ size are great for going about on merry ventures. The journals are great for compiling recipes, your favorite newspaper clippings, photographs, artist trading cards, painting with metallic paint or acrylic paint, using gelli-printing, or doodling with gel pens. No more blank, white page paralysis! Each journal is complete with a custom-made, matching bookmark, a fun gel pen and the front page also contains some painting or some wording that will help you to go ahead with your creative journey. These journals and other wonderful art created by artists from the Manito art league will be available for sale at a nacho on December 12th at the Vilas Business Incubator Center located at the corner of Highway 51 and Towline Road in Manitowish Waters. For more information this sale contact Barbara McFarland at 715-543-2975. 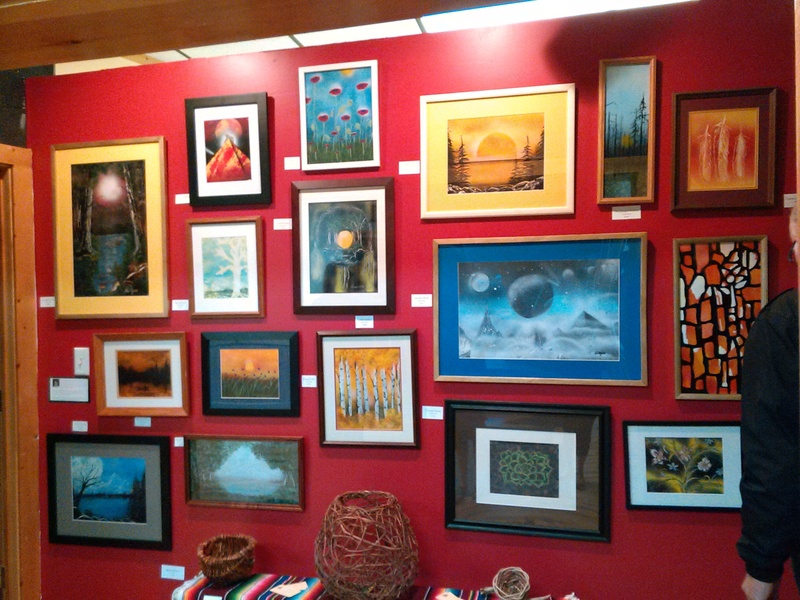 The Downtown Art Place in Ironwood, MI is holding a silent auction to raise needed funds for their program. On a recent visit to their art gallery I was asked if I was an artist. Upon admittal, I was asked if I would be willing to create a piece for the silent auction. 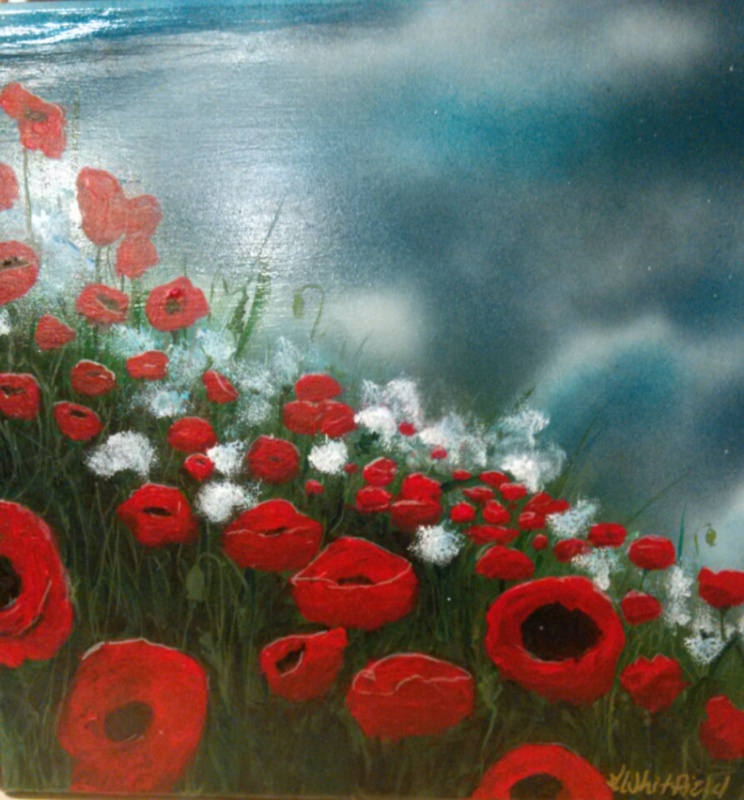 I thought that I could solicit 4 of my artist friends to also paint a donation. Only 2 people did – the amazing artists John and Barbara McFarland! My 3 donations are below. Make sure to check out the incredible art of the McFarlands by going to http://www.barbaramcfarland.com and http://www.johnmcfarlandart.com. Enjoy! Whew! After much editing, I have completed my 2D gallery. You may access by clicking on the link above. I know that you will enjoy it! Please contact me with your custom orders and with any questions that you may have! Update: I am working on a fix so that details about each piece show by the photo – thank you for your patience!